Mataro Blue by The Bulldog Seeds is a feminized cannabis seed that has its origins in the cross of a Black Domina, a Mazar and a Blue Monster. 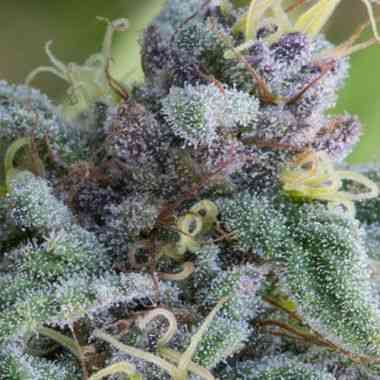 It is a small/mid-sized and fast-flowering Indica-shaped marijuana plant that produces incredibly hard buds that occasionally acquire beautiful blueish hues. Besides, given the large amounts of resin it gets to produce, it is ideal for the elaboration of quality extractions. The flavour and aroma of Mataro Blue are pronounced, with hints of sweet fruits, exotic wood, caramel and spices. It provides a typically Indica effect, i.e., powerful, long-lasting, physical but still relaxing.